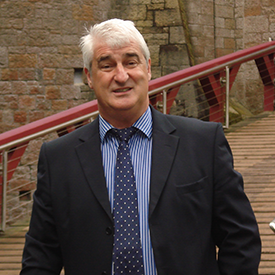 Local Director Keith Batten is a Fellow of the Royal Institution of Chartered Surveyors (RICS). He heads the Right Surveyors in Cinderford, an independent professional property consultancy providing an efficient and tailored service. Cinderford is a small town of mining origin, situated on the edge of the Forest of Dean in Gloucestershire. It is a relatively new town having developed during the expansion of the coal industry. The iconic rows of identical terraced housing are evidence of the town's industrial past. Cinderford Baptist Church and the Church of St Michael in nearby Mitcheldean are notable landmarks in the area. At Camp Mill at Cinderford is the Dean Heritage Centre, run by the Dean Heritage Museum Trust.